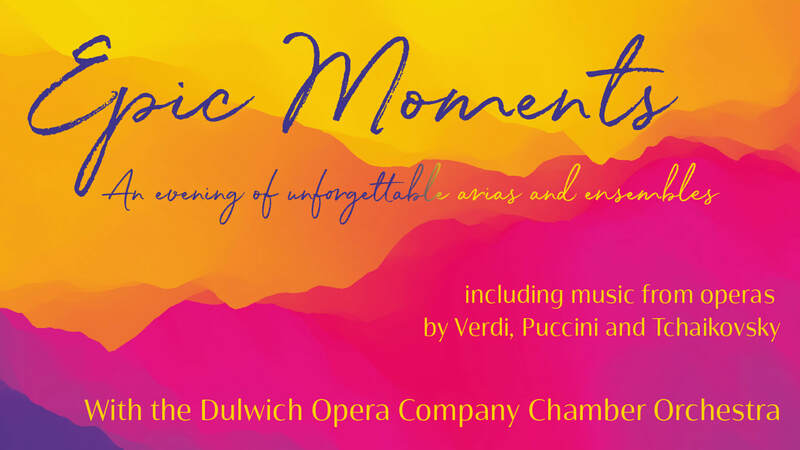 Dulwich Opera Company presents Epic Moments, a gala evening of unforgettable arias and ensembles, including music by Verdi, Puccini, and Tchaikovsky. The evening, which marks the 5th anniversary year of Dulwich Opera Company, will feature three young professional singers, accompanied by the Dulwich Opera Company Chamber Orchestra. By public transport: James Allen's Girls' School is located near North Dulwich rail station and is on the 37 and P4 bus route. By car: Please note that there is limited car parking available at the School.